Learn a language online: take lessons on Skype | Fluent. Simple. You can learn a language online, taking lessons on Skype, without ever visiting any country where that language is spoken. In this age, you can learn a language online. You don’t need to travel or live abroad in order to learn a foreign language. Skype was launched in 2003. The first website from this list to find language teachers and partner started in 2007. This opens a world of opportunities to connect with native speakers of the languages we are learning via the Internet, and specifically via Skype. I’ve learned some languages completely online, taking lessons on Skype, without ever visiting any country where those languages are spoken. You can do the same, too! There are many websites that match language teachers and students. I’ll review the four that I’ve used myself, either as a student or as a teacher. To learn a language online, I always look for teachers on www.italki.com. 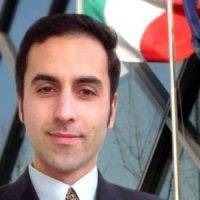 I also teach Italian there. Italki is the oldest, largest and best organized online tutoring platform that allows language learners to find teachers or tutors from around the world at an affordable rate. You’ll also find community areas to help you learn any language faster and more efficiently. The primary function is as an online marketplace that facilities online language lessons. 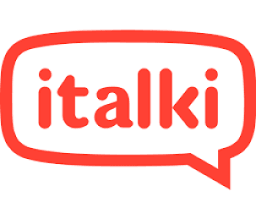 If you’re looking for a professional teacher or an informal tutor for your language studies, you can find somebody on italki. The website is for free, teachers are not. But depending on their experience and the country they live in, you can expect to spend relatively little. There are other features of the site, such as the ability to add public notes in your target language, that are like status updates, but that natives can comment on to correct you. It’s great to be able to ask a question about a grammatical feature, or quick translation question, of the language and have the community answer it for you for free. 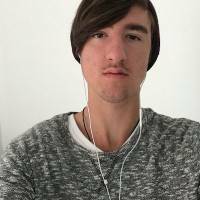 Verbling is also a very good place to learn a language online. 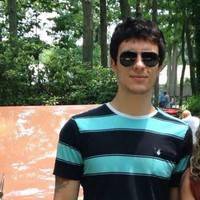 I occasionally teach Italian on Verbling, but I’ve never taken lessons as a student. However, it’s good alternative to Italki, thanks to its smooth, modern interface, and relatively large selection of tutors. It’s very similar to Italki with a few minor differences. On Verbling, the cost of lessons are generally higher and the number of teachers to choose from fewer. Tutors a required to be native speakers in the language they teach, which is obvious for me but not on Italki. Verbling does more than let you book and schedule lessons – it provides a platform for actually having those lessons, through Verbling’s own video-chat interface (this is in contrast to some other sites which leave it to you and your teacher to video chat on Skype). You should familiarize yourself with Verbling’s lesson interface before actually starting a lesson because it has many features (which for the most part I don’t need). I teach on Preply, and I’ve only taken one lesson as a student. 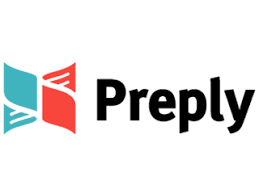 Preply is a pretty decent platform for learners to find tutors for a reasonable price and yet still able to get a good quality service. Unlike Italki and Verbling, the choice here is much wider and not limited to just foreign languages. I’ve never used this but I think that it should be more popular. Verbal Planet is a well-developed language learning/tutoring marketplace for many different languages. It’s easy to use for both the tutor and the student. The best way to learn a foreign languages is to take lessons in person or on video chat (Skype). 60-90 minutes each, 2-3 times a week is a good pace to make progress. Always go over the Skype chat log / notes between lessons. By lesson I mean individual lessons. I only take individual lessons. No schools, no classes. Why pay for a school when you only need a teacher? Customize your lessons instead of following a standard curriculum in class. In class, the teacher leaves little or no time for students to speak, which is even shorter in large classes. You should be speaking, not them. You have to keep the pace of the slowest student. The only advantage of taking classes is that they’re cheaper than private lessons. 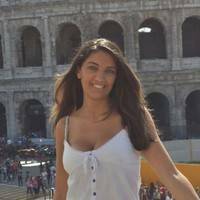 If you just want to save money, go to language exchange events or international parties and chat randomly, or find a language exchange partner on Italki or in person. Whether your lesson is online or in person, don’t be afraid of making mistakes or communicating with native speakers. When I lived in Japan, I understood how people invest huge money on language education for years and still can’t have a basic conversation with a native speaker. Their typical weariness of making mistakes, especially in public, and of foreigners (native speakers), together with obsolete learning methods, keep many from speaking a foreign language. Another bad habit of the Japanese language schools is that they make teachers dress up. To me, it’s stressful to practice in a formal attire. Making a fool of myself at every mistake is already stressful enough. Learning in an aseptic environment, like an office-like classroom with a guy in a business suit, is also the farthest possible from reality. On the contrary, language schools should have corners reproducing situations, like a coffee shop, a station, a drugstore, a house, and an office too. This because it’s easier and more comfortable to recollect if you have rehearsed beforehand in that place and situation. That’s why opera singers rehearse in the hall or theater in the morning before performing in the evening, to get used to the venue. Another option to learn a language online is to to find a language exchange partner to teach each other on Skype. In a language exchange (or language tandem), you teach your language exchange partner your language, and he/she teaches you his/hers. For example, if I were studying Chinese, I’d teach Italian to a Chinese and she would teach me Chinese (I’m Italian). You exchange time, not money. You only speak on language for 30 minutes, then switch to the other for another 30 minutes. It’s a fair exchange, no? Sessions can be longer depending on your skills and motivation. If I’m lucky enough to find one or more motivated language exchange partners, I usually do 60, 90 or 120-minute sessions, 1-3 times a week. Typically, your partner is not a professional teacher but just a language learner like you, thus you shouldn’t expect a real lesson, but rather an informal chance to practice conversation and have your mistakes fixed in passing. I do tandems in person or in video chat on Skype. On Skype, I recommend that you type what you say because the audio isn’t always clear and that also helps your partner go through your chat log later on. It’s hard to find a motivated and skilled partner. I was lucky have a Chinese language partner with whom I could practice on Skype 2-3 times a week for a year, and we still keep in touch. With Korean I was less fortunate, but I still managed to have occasional video chats with different people. In order to keep myself motivated, I usually study Asian languages with charming native speakers. That would happen on Skype. If you’re exchanging languages in person, you shouldn’t be attracted too much to your study partner physically, else things will easily become awkward and you’d be left alone, or turn into something else, which is not bad per se but you’d still lose a study partner. They know how to keep up the conversation. Even the simplest question helps to move forward and have the student speak. This way, they take every little thing you say and expanding on it to bring the conversation forward. They adjust their speech to the student’s level. For example, in the case of a total beginner, they should talk slower, repeat often, and use basic vocabulary. Nowadays, you can find native speakers and teachers on various websites and take lessons or do language tandems, all online. You don’t need to travel or live abroad in order to learn a foreign language. Online language lessons and tandems can be as effective as if done face-to-face, provided that you know how to conduct them and you’re technically prepared. Go find your teacher and start speaking today!